ince it is undeniable that a repeater contact is a contact with a repeater rather than the other operators station, why not count a repeater as a station, one contact per repeater, contacts with four repeaters qualifying the summit? Pressing the ptt once and listen to the repeater answer will be enough to consider it a QSO ? In some places it will be very easy to have the four QSO in less than a minute!.. I understand the point but I’m in favour of today’s rules. It’s gonna be difficult to get to “an honourable compromise” but who knows ? I suspect Brian may be joking (? )… I certainly am! Please leave it as it is. Then we should create another programe with actual rules. SOTAW’R, i e, SOTA Without Repeaters! 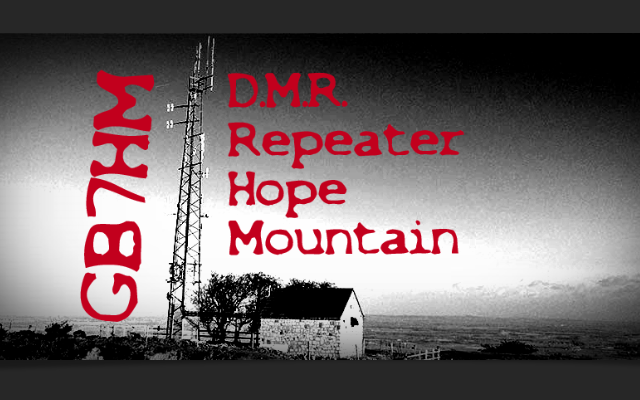 The idea of counting the repeater as a QSO occurred to me, too, but it doesn’t work. You can’t exchange information with the repeater during the QSO. You might listen for its ID, but it isn’t listening to yours in any meaningful sense. I actually didn’t know that existed, which is bad ! That is line of sight from me in the valley, literally. My first thought was setting up a temporary repeater on a summit. That’s when I decided it wouldn’t qualify. In the San Francisco Bay Area, we have a lot of “talking clock” repeaters. There is a really nice linked repeater network on 1.2 GHz that goes from here to Lake Tahoe. A few guys chat on it each morning. But we have some very active repeaters. N6NFI has the “9AM Talk Net” weekdays, which goes until 11AM or later. You can always find someone there. W6CX is on top of Mount Diablo (W6/CC-045). That one is loud and clear in the Sierra foothills, 100-150 miles away. EchoLink is up on N6NFI during the 9AM Talk Net, everyone is welcome. I think it is up on W6CX almost all the time. There are a few more repeaters with a fair amount of traffic, and some extensive linked systems, like Bay-Net (http://bay-net.org/). Just what did people do in the Amateur Radio World before repeaters ever came onto the air waves? What did people do in the Amateur Radio World do before FM ever came onto the air-waves ? I was there on the air with AM and No Repeaters ( Simple ) We talked Antenna to Antenna with NO aid of anything execpt a good Antenna. Simplex is a very simple operation.Operation between Stations Antenna to Antenna with NO aid between. Spend more time on your Antenna system and your operation Skills and you will be a better operator and you will enjoy the hobby much more. I’ve often thought about a magic ‘SOTA Box’. You hike to the summit of your chosen hill, remove the magic SOTA box from your pack, unfurl it’s antenna and press the ‘on’ button. Time can then be spent eating sandwiches, enjoying the view, chatting with fellow summiteers etc. When you’ve had enough, you gather up the magic SOTA box and hike back down from the summit. Once at home, your ‘magic SOTA box’ recognises your WiFi connection and automatically uploads your log to the SOTA database. The system also sends you a copy of your log to your email so you can see who you have worked, if you are at all interested. Maybe it would be possible to train an animal (dog?) to carry the magic SOTA box to the summit and deploy it - a pleasant afternoon could be spent reading RadCom in the car. How about a MTR pre programmed with CQ de YOURCALL. Download spots complete with signal report. A goat or two would help with transport. For a mind numbing alternative, you could incorporate pskreporter vice RBN, work JT65 whilst watching the paint dry on the nearby trigpoint, or if you take the paint with you, operate WSPR whilst yielding a brush. “Scratch any cynic and you will find a disappointed idealist.” Gawd, ain’t that just the truth! It brings a whole new meaning to “S2S” … “Squeaky to Squeaky”! Reminds me first encounter from the Aurora contacts many years ago.